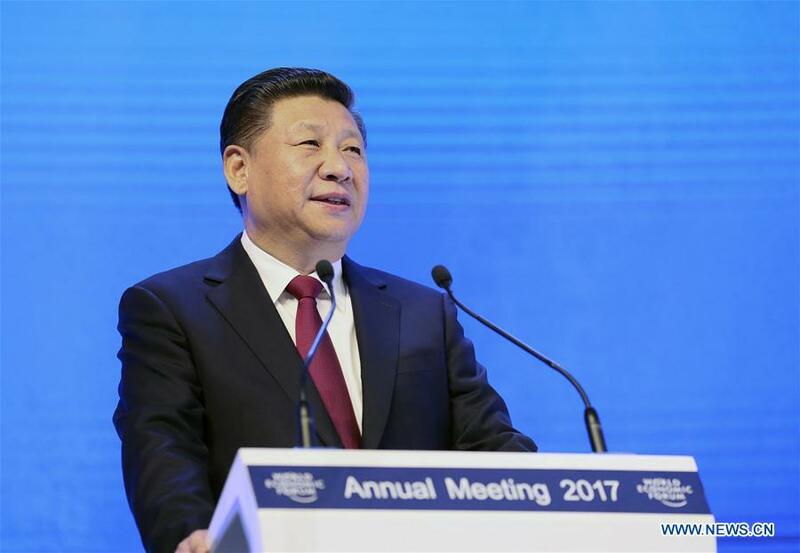 DAVOS, Switzerland, Jan. 17 (Xinhua) -- Chinese President Xi Jinping delivered a keynote speech on Tuesday at the opening plenary of the 2017 annual meeting of the World Economic Forum in the Swiss town of Davos. DAVOS, Switzerland, Jan. 17 (Xinhua) -- Chinese President Xi Jinping grabbed global elites in Davos on Tuesday with an unusually straightforward keynote address on global issues at the World Economic Forum. In the snow-clad, star-studded Alpine town of Davos, Chinese President Xi Jinping has once again proved that he merits another title: master of metaphors.